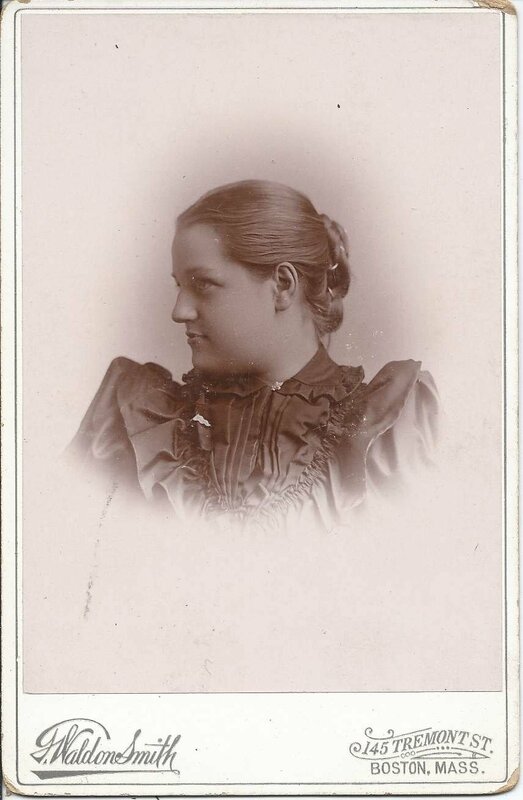 Cabinet photograph of a young woman identified on reverse as Elizabeth Marsh Carleton, taken by the G. Waldon Smith studio of 145 Tremont Street, Boston, Massachusetts. Though there are several possibilities for Elizabeth Marsh Carleton, the most plausible is the Elizabeth Marsh Carleton who married George Munroe Gage Nichols on 29 June 1899. She was born 22 January 1877 at Whitinsville, Massachusetts, the daughter of Robert Marsh Carleton and Kate Hyde (Olmstead) Carleton of Haverhill, Massachusetts. See another post for the 1894 graduation photograph of a man who may have been George Munroe Gage Nichols, a student at Haverhill High School, at Haverhill, Massachusetts. 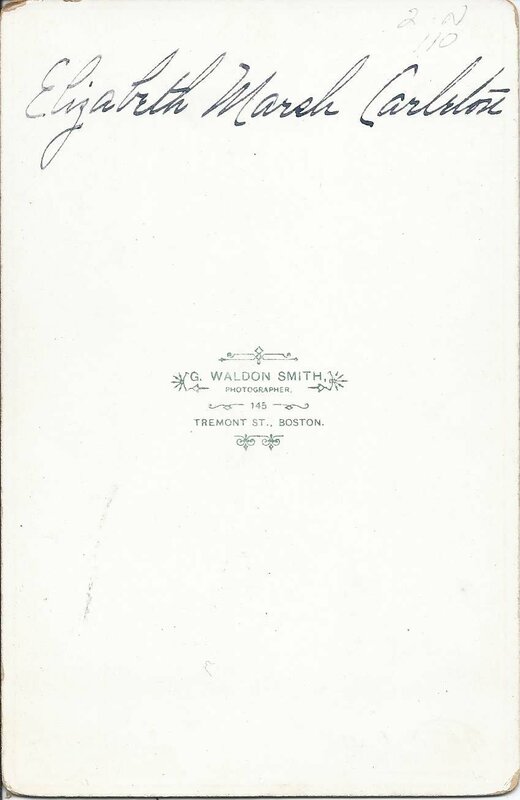 His photograph was also taken by the Waldon Smith studio of Boston, Massachusetts. 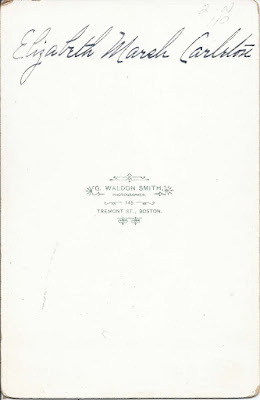 The signature on the reverse of the photograph is partially in initials and hard to read. Unfortunately, there was another man named Nichols in his class, Charles Howard Nichols. Most people who have seen the photograph, however, believe the initials to represent George Munroe Gage Nichols. See the photograph to decide for yourself. Sadly, Elizabeth Marsh (Carleton) Nichols died 19 January 1900, two days after the birth of her daughter Elizabeth Carleton Nichols, who survived. 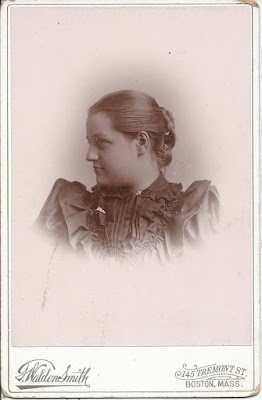 Young Elizabeth's father subsequently remarried, and when he also died fairly young, she remained with her stepmother, Frances A. Clementine (Mitchell) Nichols.